Community Preparatory School – RI – Target Technologies International Inc. Direct from the Community Preparatory website: “Community Preparatory School gives motivated students in grades 3*-8 the opportunity to reach for their dreams, regardless of family income. 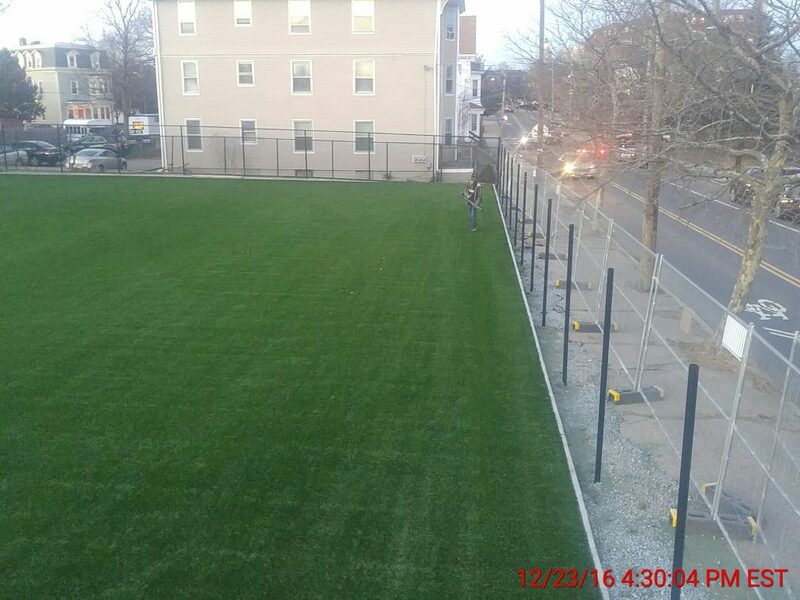 Community Prep offers all the benefits of an independent school – small classes, challenging academics, and a positive, nurturing environment – combined with the cultural and economic diversity of a public school.” Community Preparatory School’s new synthetic turf field was just completed this winter. We are proud to have supplied our TTII TRU-PLAY COLORED EPDM for this project and wish all students many years of enjoyment on the field.